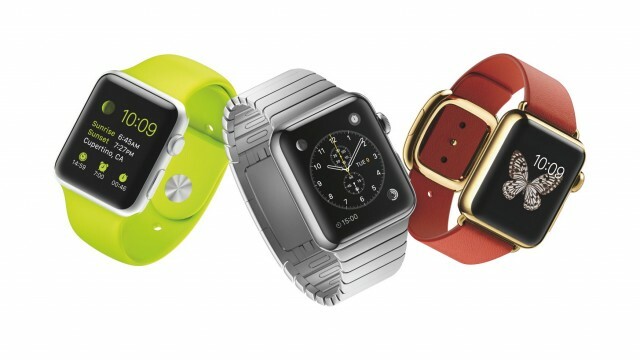 Apple Watch could be the first in a new wave of wearable technology for musicians. The idea isn’t new. We’ve seen various notions involving wearing extra controls for music. In fact, the whole category of alternative interfaces is deeply indebted to Michael Waisvisz, who helmed STEIM for many years and whose interface The Hands inspired generations of musical gloves and gestural interfaces. Guitarists have had various rings to wear; IK Multimedia is currently experimenting with rings that aid in gestural control of iOS. Apple Watch may not become the accessory the iPad and iPhone have for music, but – partly due to the success of those platforms – it’s ripe for experimentation. And since I can already prepare Traktor sets with my iPhone and plug my guitar through an iPad, music companies already target iOS as an additional platform (atop Windows and Mac). Visual notifications while you play. BPM, cues in songs, uh… lyrics, if you’re especially bad at remembering them. Remote controls. Transport controls and the like are a logical app. Think of a simple app with wireless Mackie Control for transport information. Touch. The iPad and even iPhone offer larger touch surfaces, but you do get something out of the Watch. There’s reportedly pressure sensitivity, and “Taptic” provides haptic feedback. Now, you wouldn’t buy an Apple Watch for these features, but you can bet some developers will try hacking creative musical applications with them anyway. The new touch sensing tech could be something we see on iOS devices later, too. Easy-access controls. Even the “Digital Crown” looks useful. Imagine a metronome on your wrist, turning this dial to change the tempo up and down precisely. Wireless and Bluetooth provide a connection with your computer, so as with iPhone and iPad controllers, remote control is a likely application. But I could see a KORG tuner or metronome on the Apple Watch, too, or an Ableton transport. Apple Watch is mostly a teaser at this point. We should know more as Watch Kit shows up in the developer tools. Apple’s increasingly liberal policy on developer NDAs should also mean we get to talk about it sooner. And because many DIY solutions can be constructed for far less than $350, there’s no reason you can’t go off and make your own, non-Apple wrist-worn creation today. That’ll fill the time. But whether it’s made by Apple or not, I’m fairly confident that the cultural impact of Apple’s creation is that wrists will go naked no more.